Our day to day activities would normally and necessarily involve our feet. Whether it is just a clean-up day around the house, a day to the grocery, and a time for workout, we use our feet to complete our daily tasks. This is the reason why foot pain is not a unique foot problem. According to the Society of Chiropodists and Podiatrists, about 75 to 80 percent of adults have some form of foot problems and can cause pain in ball of foot when walking. This does not come as a surprise considering that an average adult takes 4000 to 6000 steps a day, which is equivalent to five times around the earth in the entire lifetime. One common focal point for foot pain is on the balls of our feet. It is actually the second most common foot pain next to the heels. The medical term used to describe this condition of the balls of the feet is generally called as Metatarsalgia. Metatarsalgia arises by various reasons, which largely depends on the structure of your foot and your lifestyle. This is particularly normal to people who engage in running and jumping. However, it could also occur even as we walk. Considering the numerous activities we do using our feet, a problem like this can affect our daily lives. Thus, we answer some of your questions and concerns about the pain in ball of foot when walking. 1 Where is the ball of our foot located? 2 Why does it hurt when walking? 3 How can you ease or treat the pain in ball of foot when walking? Where is the ball of our foot located? Before we delve into the specifics of ball foot pain, let us first get to know about the balls of our feet. The ball of the foot is that portion in between the arch and the toes. It is located underneath the heads of the metatarsal bones. When the heel is raised, the weight rests on the ball of the foot. Why does it hurt when walking? The ball of the foot serves as the pads of the feet. 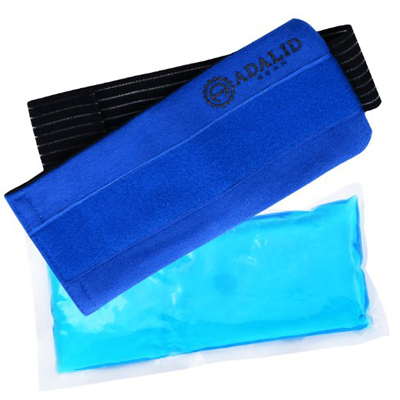 As we age, the fat pads underneath is reduced making your feet more prone to pressure and shock. Many people in the later years of their life experience ball of foot pain in the form of osteoarthritis. The problem in the balls of the foot may also be inherent just like when you have very high arches in your feet. When you have claw foot or pes cavus, the foot does not flatten whenever weight is placed on it. Hence, there is extra pressure on the ball of the foot when you walk that causes the pain. Another common reason why you may be suffering from a sharp pain in the foot when walking is your ill-fitting footwear. Restrictive footwear that includes those with narrow toe area limits the space available for the balls of the feet affecting how you walk, while causing extreme discomfort. Foot pain caused by improper footwear is normal to people who workout a lot or those in high intensity activities. Wearing high heels poses the same risk as wearing an ill-fitting shoe. Yes, heels may look great on you as it elongates your legs, however, too much of high heels stresses your metatarsal heads. When you wear high heels, about 70 to 80 percent of your bodyweight is shifted forward to the balls of the feet. Apart from the stress on the metatarsal heads, the ligaments in your feet lose its strength as pressure and friction increases that result to an excruciating pain. There are times, after a series of activities, that the balls in our feet suddenly become painful. In some cases, this could be due to overuse of the balls of the feet, which is normal for some athletes and runners due to the inflammation of the metatarsal heads. The pain in ball of foot when walking, particularly on the balls, may also be an indication that you are overweight. The additional weight you gain adds stress and pressure to the feet for the latter to carry. This is why many overweight also suffer from pain in the ball of the foot. Nevertheless, overweight or not, standing for a long period time with all the weight on the feet may likewise cause pain. Another known cause of metatarsalgia is over-pronation. This conditions happens when the longitudinal arch of the foot collapses and the ankle joint rolls inwards. So when you walk or every time the foot touches the ground, excess pressure is placed on the metatarsals that lower the transverse arch across the foot. The pain gets worse as you walk on hard or concrete surface using flat shoes. The ball of the foot also consists of joints. Inflammation of the joints in the ball of your foot and even the big toe makes you suffer from pain in the bottom of foot near toes when walking. How can you ease or treat the pain in ball of foot when walking? The pain in the ball of the foot can impair our daily lives. The good news, however, is that it can be treated. The first step is to determine what causes the pain. Here are some effective ways to ease and treat such pain in the ball of your foot. Give your feet some rest by elevating it whenever possible. 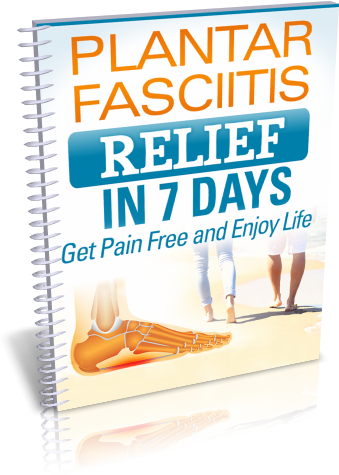 This is particularly needed when dealing with ball foot pain caused by overuse of the same. Application of ice and cold likewise bring instant relief from pain in ball of foot when walking.. Wear the right shoes according to your foot structure and footwear of the right size with a wide toe area. If you can, limit how often you wear high heels. If you cannot, go for fashion or dress shoes with lower heels. Also, when you workout, make sure you use proper footwear with adequate support. There are insoles available designed to relieve the ball of the foot from pressure as you shift your weight forward. There are even insoles that correct and prevent over-pronation. Pain in the ball of the foot is also another reason why you should maintain a healthy weight. The importance of our feet in the performance and completion of our tasks emphasizes why it is important to pay attention to pain in ball of foot when walking. The amount of care we give to the health of our feet reflects our level of commitment to overall wellness. The important thing is to address any pain in the ball of your feet while you still can.